Ideal Standard International is one of the world’s leading providers of high-quality bathroom solutions. Established over 100 years ago and operating in 26 countries, the product range includes high quality ceramic sanitary ware, taps and showering systems, bathing and wellness solutions, furniture and accessories. Headquartered in Belgium and with an independent presence in Europe, Middle East, Africa and Latin America, the company has over 12,000 employees and 4,000 users and a requirement to control software assets globally. 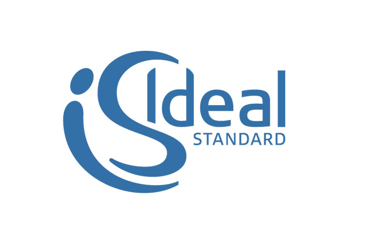 Ideal Standard wanted to gain an accurate picture of its software assets across a large IT estate comprising 1200 laptops, 2000 desktops and 400 servers. This project entailed capturing all machines on the domain, including many at remote sites and remote users based out in the field. The chosen solution would have to accommodate the needs of a global organization with IT deployment spread across 26 countries, and had to deliver a successful asset discovery rate of at least 95%. It also needed to provide accurate software recognition and reconciliation and a view of license compliance globally and by structured business units. An accurate and optimized licence position that would allow the organization to take control of their software licenses, control risk and reduce license expenditure. Simple administration and on-going automation of processes to reduce management overheads. Flexible and accurate reporting with minimum effort. The free 30-day proof-of-concept enabled Ideal Standard to make a clear, risk-free decision to purchase. During the pilot phase Certero for Enterprise SAM was deployed to 2 sites and compared against an alternative solution; it scored highest, exceeding all pre-defined success criteria. After being chosen, a controlled and structured deployment of Certero for Enterprise SAM yielded exceptional asset discovery success rates that resulted in the completion of the deployment phase two weeks ahead of schedule. Certero for Enterprise SAM now provides Ideal Standard International with an accurate and combined view of its hardware and software assets, with integrated reporting and real-time Business Intelligence. It has also meant that the company now has the capability to establish and maintain an Effective Licence Position (ELP) as well as measure progress towards optimization. The complexities of Microsoft licensing are now understood across the estate with the help of Certero for Enterprise SAM’s Microsoft Licensing Module: particularly SQL Server and licensing within virtual environments. As a result of using the AppsMonitor Module, a new process has now been adopted to periodically review software usage and redistribute unused software assets where needed, reducing the need to buy additional software and reducing costs. Additionally, the software delivery functionality has created a standardized software set and a structured software deployment program based entirely around Certero for Enterprise SAM.